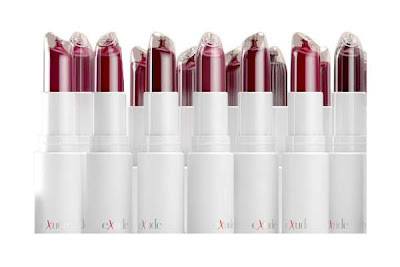 Babblings of a Mommy: Cool Finds: Exude, A Lipstick That Won't Wear Down! 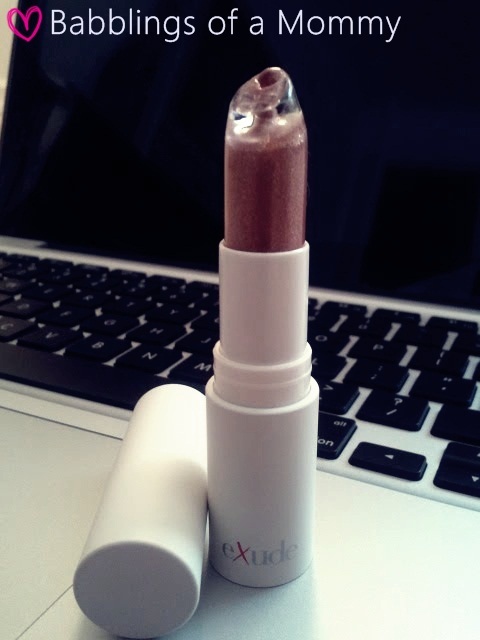 Cool Finds: Exude, A Lipstick That Won't Wear Down! Don't you hate when your favey fave lipstick wears down and looses it's shape over time? The geniuses over at Exude Lipstick solved this age old dilemma by creating a crystal clear applicator that delivers the perfect amount of pigment every time! P.S. Mega stylist Rachel Zoe swears by this lipstick too. You got a good box! My Feb was...ehh. Not really, besides the lipstick my box was pretty ehh, too. That IS genius...Mine always ends up shaped weird and breaks off! Mine too! That's why I think this is such a cool find!